Acuitus has offered for sale over 3,000 individual properties and been instrumental in delivering more than £2.0bn of commercial property transactions but has never lost sight of the fact that client service is at the heart of its business. Advising sellers on bringing assets to market and helping buyers find the right investments is the cornerstone of what we do. Our approach has transformed auctioneering from a simple means of buying and selling property into a sophisticated multi-channel platform for enabling investment strategies. An innovative and hugely successful approach to auctions and our bespoke private treaty work has set a new benchmark in the sector. Each year we advise sellers on the potential sale of hundreds of assets whilst also striving to provide buyers with the most comprehensive information on which to base their purchases. We have pioneered the analytical study of the assets that flow through the auction room, what values they are reflecting and how these trends are moving over time. We partner with MSCI IPD to produce the commercial property auction sector's leading research studies. Richard is probably the best-known professional auctioneer and commentator on the UK commercial property auction and private investor markets having overseen the sale of more than £6bn of individual property assets. He has more than 30 years’ real estate advisory experience, and was a founding Director of Acuitus in 2010. Prior to Acuitus, Richard led the auction business of Jones Lang LaSalle, one of the world’s leading real estate advisory firms and was the longest serving UK auctioneer in its 230 year history. During his time at the company he advised leading financial institutions, major property companies, public authorities, private investors and a huge variety of other clients in all property sectors throughout the UK. Richard’s main focus is on the development and expansion of Acuitus, and in ensuring that the company delivers a best in class service to its clients. He is responsible for promoting the brand and raising awareness amongst a diverse range of investors across the UK and internationally. He is a leading promoter of technology and research in enhancing client service. 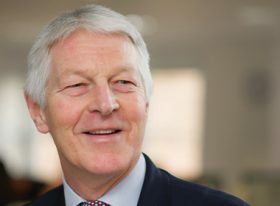 In his role as Chairman of the Real Estate Auction Group of The Royal Institution of Chartered Surveyors he leads the UK real estate auction industry in adopting the highest ethical and professional standards. 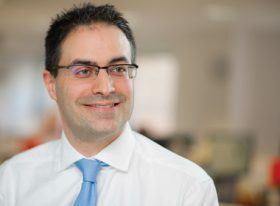 He is a member of the Investment Property Forum and has sat on the Bank of England Residential and Commercial Property Forums amongst other professional and educational organisations. Peter has more than 25 years’ real estate advisory experience, and was a founding Director of Acuitus in 2010. Prior to Acuitus, Peter was a Director in the auction team at Jones Lang LaSalle, one of the world’s leading real estate advisory firms. 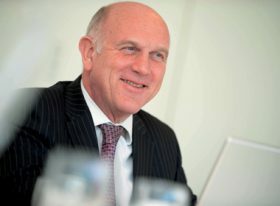 During his 22 years at the company he regularly appeared on the rostrum and his clear, market-orientated advice on pricing and strategy helped build his excellent reputation among clients from all areas of the auction market. He advised a multitude of financial institutions, major property companies, funds, public authorities and private investors in all property sectors throughout the UK. Peter’s main focus at Acuitus is on delivering a first class auction catalogue. He co-ordinates and manages the Acuitus team to ensure that clients receive the highest quality of service. He is a member of the Royal Institution of Chartered Surveyors and also a Liveryman at The Chartered Surveyors’ Company. Charlie has more than 25 years’ real estate advisory experience, and was a founding Director of Acuitus in 2010. Prior to Acuitus, Charlie was National Director in the Auction and Private Investment team that formed part of the Capital Markets Business at Jones Lang LaSalle (JLL), one of the world’s leading real estate advisory firms. Charlie had successfully established the Private Investment team at JLL in 1999 to act for private investors in the sub £10 million market. He built up valuable experience both on sales and acquisition strategy for a range of clients from mainstream funds to private investors, as well as experience on sale and leaseback strategy for a number of leading banks and retailers. Prior to JLL Charlie was an Investment Surveyor with Chesterton. As one of the three founding directors of Acuitus Charlie is passionate about further growing and enhancing the reputation of the brand, whilst maintaining close relationships with his loyal client base. Charlie’s priority at Acuitus is to provide professional, transparent, and bespoke advice to his broad range of clients including funds, property companies and high net worth private investors. He also specialises in offering sale solutions for distressed properties to banks, receivers and administrators. In addition to providing auction advice Charlie is experienced in individual private treaty and portfolio disposals. His wealth of experience in these areas has helped him establish an exemplary reputation amongst the national private treaty agent community. David has over 20 years’ commercial property experience, the vast majority of this having been spent within the commercial auction arena. Prior to Acuitus, David was Senior Director and Auctioneer at CBRE, the world’s largest real estate services firm, where he played a key role in establishing and launching the Auction team. He was primarily responsible for securing auction instructions from private investors, family trusts, private and public property companies, institutional clients and corporate clients of CBRE. Before this David was at Cushman & Wakefield. He initially worked within their Investment division, and then in 2001 joined the Auction team, making his debut as an Auctioneer in 2002. He has become one of the most recognized Auctioneers in the business acting for a wide variety of clients including banks, receivers and administrators, private and public property companies, institutional clients and private investors. 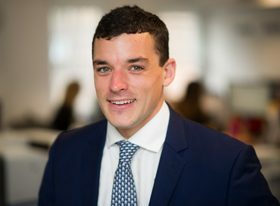 David is a key part of the Acuitus auction team delivering a bespoke solution based service to ensure that clients receive impartial advice on maximising the value of their real estate assets. 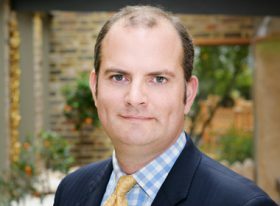 Since joining Acuitus in 2014, David has acted predominantly for private clients and family offices, and shares the rostrum with Richard Auterac and Peter Cunliffe. He is a member of the Royal Institution of Chartered Surveyors and sits as Auction Chair on the property committee for the Norwood Charity. David also regularly assists in hosting several Charity Auctions. John has over 30 years’ experience in the commercial property sector, and has spent the last 15 years working in the private treaty and auction investment markets. Prior to joining Acuitus, John was an Associate Director in the Capital Markets team at Jones Lang LaSalle, one of the world’s leading real estate advisory firms where he also gained experience in European Capital Markets having worked on major projects in Germany, Switzerland and Spain. Before this he spent six years working for HMRC Valuation Office Agency in the Westminster and the Kensington & Chelsea offices. 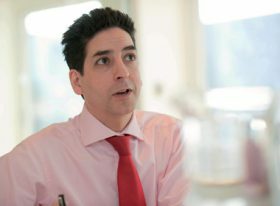 John’s primary focus at Acuitus is advising private investors on the buying and selling of property throughout the UK. He also acts for property companies, receivers, and fund managers. He deals with a wide range of property types and has a particular expertise in devising selling strategies and employing techniques to marketing and closing property transactions for his clients. He is an associate member of the Royal Institution of Chartered Surveyors. 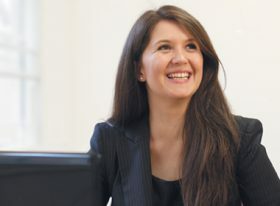 Gwen has more than 7 years’ experience in commercial auctions. Having previously worked within the Auction Department at Jones Lang LaSalle (JLL), one of the world’s leading real estate advisory firms. Gwen joined Acuitus in 2010 becoming Associate Investment Director in 2015. Gwen’s key focus is in the production of a high quality auction catalogue and managing a team within Acuitus to deliver a targeted marketing campaign. Working with a wide range of clients including major institutions, property companies and private investors, she works with an auction form of contract to achieve sales both inside and outside the auction room. Gwen also regularly organises Women in Property networking events. Peter has almost 20 years’ real estate advisory experience having acted as both an investment agent and auctioneer, and a seller in his role as an insolvency practitioner. 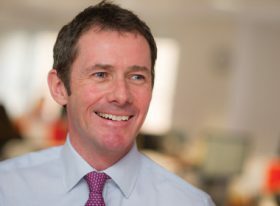 Prior to Acuitus, Peter was a Partner at a leading UK auction partnership where he worked in the commercial auction team and more recently where he jointly headed up the insolvency team. During this time he advised a variety of financial institutions, major property companies and private investors, in all property asset classes throughout the UK. Peter’s focus at Acuitus is on providing a first class auction service to its clients by combining his knowledge and insight gained as a client himself, with being a leading auction expert. 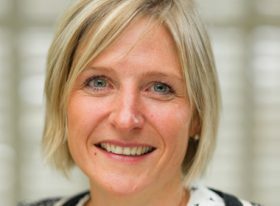 Mhairi has over 20 years’ commercial property experience in the auction and private treaty markets and has been a consultant with Acuitus since 2012. 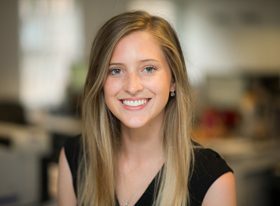 Mhairi started her career in Scotland with Scottish Widows Investment Management (now Standard Life Aberdeen Plc) and then joined the Jones Lang LaSalle Capital Markets team in Edinburgh. She provided advice on sales and asset management strategy for investment grade commercial properties in Scotland for clients throughout the UK including banks, receivers and administrators, private and public property companies, institutional clients and private investors. Mhairi is a consultant at Acuitus. She provides specialist investment and disposal advice for Scottish properties offering a bespoke solution based service to ensure that clients receive impartial advice on maximising the value of their real estate assets. Mhairi has helped Acuitus establish a leading position in the Scottish commercial property market facilitating the flow of capital through the auctions rooms between Scotland and the rest of the UK. She is a member of the Royal Institution of Chartered Surveyors. 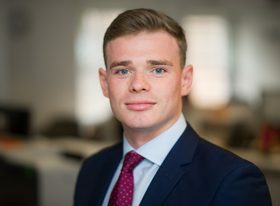 Will has 5 years experience in the commercial investment market. Prior to joining Acuitus in 2013, Will assisted the Commercial Portfolio Investment Team at Knight Frank as a Graduate Intern. Will works within the Auction and Private Treaty Investment teams acting on disposals and acquisitions for a number of major institutions, property companies and private investors. In addition to working with Acuitus’ established client base, Will prides himself on maintaining a strong relationship with investment agents in London and throughout the UK. Will regularly attends CPD and networking events to keep himself up to date with current events within the industry.